Cadyce has revealed a Wireless Charger for Android and Apple handsets. This Charger features a 1M Cable to charge the Devices after 5 full charges. Current phones that support in-built ‘Qi’ Wireless Charging Capabilities including Samsung Galaxy S6 and its successor models, Microsoft Lumia 900 series, Google Nexus 4, Blackberry Priv and Newer Version of all these phones and more. This Qi Technology is capable to charge phones without the use of an External Sleeve. 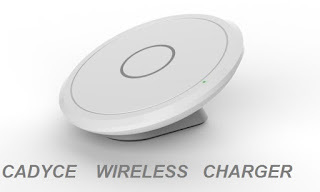 Cadyce Charger is designed and configured in such a way that it supports an Input of 5V2A and an Output of 5V1A. The Micro-USB Charging Cable for the Device supports charging at 10W for the Android variant and 7.5W for iPhone. Cadyce has become a leading networking and lifestyle Brand having a global presence. Seeking to be the most preferred brand in the Computing and Digital Lifestyle Marketplace. Brand Cadyce stands on the three pillars of: Product Excellence, Innovation & Passion. 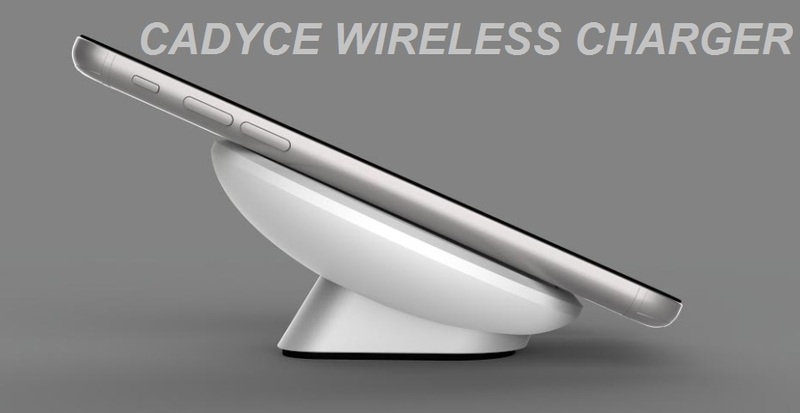 Cadyce was started with the vision of launching range of innovative and cutting-edge products targeted at the ever-burgeoning Tablet and Smartphone market. With a slogan “Your Network, Our passion” was coined on the philosophy of offering innovative range of Internet cameras, Networking / Streaming devices and USB and Apple accessories that would help you in your home or Office Computing needs.